Molybdenum is a mineral whose function as a nutrient is still not clearly understood. 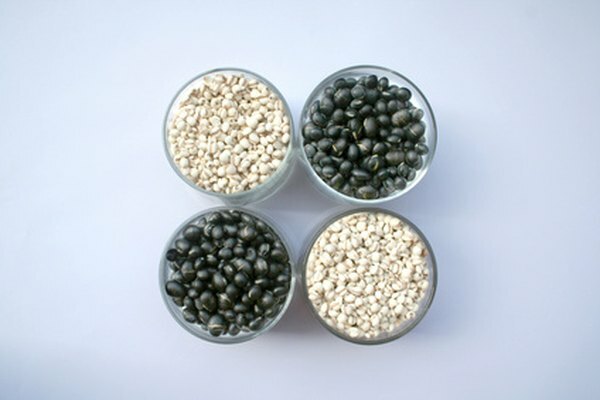 Plant-based foods, including beans and grains, are the richest sources of molybdenum. If you eat a balanced diet with regular servings of legumes, cereals, breads and pasta, you can easily meet your daily requirements for this element. Your body requires only trace amounts of molybdenum to stay healthy. Molybdenum is involved in energy production and contributes to the healthy function of your brain and kidneys. This mineral may have potential as an antioxidant nutrient for cancer patients, according to the American Cancer Society. Antioxidants counteract or prevent cellular damage caused by compounds that promote cancer. Because of the ways that molybdenum interacts with copper, molybdenum supplements may be used to treat Wilson’s disease, a rare metabolic condition that interferes with the body’s utilization of copper. The molybdenum content of foods can vary significantly depending on how much molybdenum is present in the soil in which the food is grown. The molybdenum content in soil may affect the health of the residents of that region. In an area of northern China where the soil is low in molybdenum, the rate of gastroesophageal cancer is 100 times higher than the incidence of this form of cancer in the United States, according to the Linus Pauling Institute. Efforts to supplement the diet of the people in this region of China with molybdenum have not changed the rate of cancer. Legumes – including beans, peas and lentils – offer more molybdenum than any other food group, according to the Linus Pauling Institute. Grains and nuts also contain this element. Meats, dairy products, eggs, vegetables and fruits provide low quantities of molybdenum. In a 1980 study of the amount of molybdenum consumed in the American diet, Theodora Tsongas, Ph.D. and colleagues analyzed the molybdenum content of foods commonly eaten in the United States. In this analysis, published in the May 1980 “American Journal of Clinical Nutrition,” legumes were the richest source of this element, followed by grain products. Lima beans had the highest amount of molybdenum, with 8 mcg/g of dried beans. Small white beans had 5 mcg/g and yellow split peas and red beans had 2 mcg/g. In the grains group, oatmeal had 2 mcg/g. Breads, pasta, rice and cereals had between 1 and 0.2 mcg/g. In this analysis, most vegetables, fruits, meats and milk products had less than 0.1 mcg of molybdenum per gram. The recommended dietary allowance for molybdenum is 45 mcg for men and women ages 19 and older. Most Americans get more than enough of this element in the foods that they eat, the Linus Pauling Institute notes, so the need to supplement a healthy diet with molybdenum is rare. People with a genetic disorder that prevents them from absorbing molybdenum or patients receiving long-term intravenous nutrition may lack molybdenum, but very few cases of deficiency have been documented.